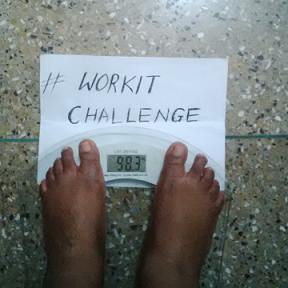 Results after week 5 of the #workit weight loss Challenge. Yesterday morning after Church, I was listening to the radio and Bishop T.D Jakes was speaking about 'blessings', he spoke a whole lot, thank God i bumped into it. One major thing i learnt was to count my blessings and be thankful. He said to look within and be thankful for what I have at the moment, instead of looking out and praying for more things without appreciating the precious little things that God has given me. It is through thanksgiving that greater blessings will come. Amen. Keep working hard( on your job, TTC, breakthroughs, marriage. 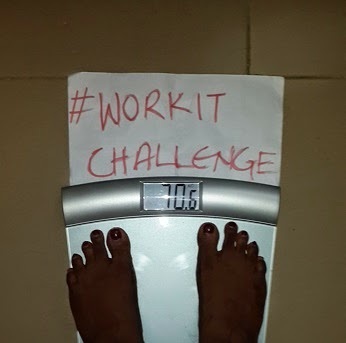 weight loss, etc ) that thing which you have been seeking will soon come through for you in Jesus name. Amen. There are 9 powerful ladies still in the competition. Its getting hotter as we draw closer to the finish line. 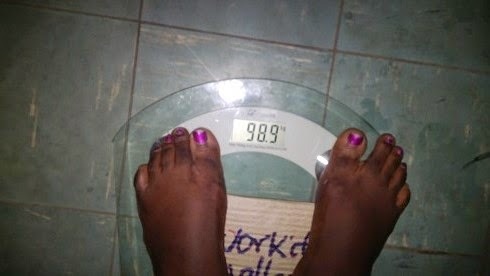 I am sure they can testify that weight loss is not a small something, Lol! Its a huge achievement, which is why i am so proud of them. I cant wait to see how they look at the end of the 8th week. 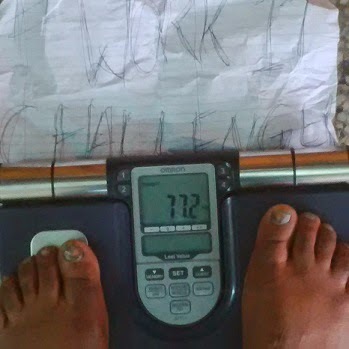 Tess currently @ 77.2kg : From 81.8kg. 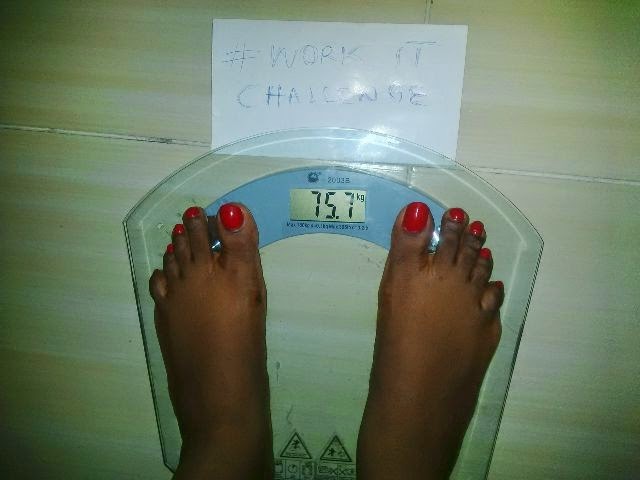 It's not all about the numbers on the scale, don't let that draw you back. Keep going. No exercise is a waste. Trust me, your body is gradually changing, one muscle after another. I am proud of you all for sticking with me till now. I love you all much much. God bless you and strengthen you as you reach your goals. Amen. Wow u ladies are the bomb..I commend ur hardwork nd I pray more God continues giving u guys d strength to forge ahead!! I have a problem nd I need to know if u can help me wit an answer to it. Am pregnant nd in my 2nd trimester nd I hav been having a case of muscle pull!! I was neva athletic, nd I dunno if its cos of d baby but it happens to me only wen am pregnant. Dis will be my 3rd child but am worried now bcos its worse dis time around!! It happens only wen am sleeping nd each time I want to stretch my legs, d next thing I will feel is this sharp unbearable pain in my leg, nd believe me wen I say its very painful. Dis morning it happened twice nd I was shouting like I was in labour; I nearly gav hubby a heart attack today (Lmao), he was even afraid to leave me to go to work.. So Cheliz nd my fellow readers I would like to know if anyone has experienced something like dis b4 nd if its a sickness or just one d things dat comes wit pregnancy. .thank you all nd Cheliz ur really doing a gr8 job here..kudos!! Hi Ammy Becky. Thanks a lot for reading and a very huge welcome to you sweet. I appreciate you. Ehen, about the leg cramps, i had major ones when i was pregnant too, as in major! I learnt to bend my leg to the opposite direction to stop the pain, if it cramps downwards, then bend upwards, vice versa. So try that, it works. Leg cramps are normal in pregnancy. I feel you can reduce and even avoid them by exercising. Try and walk at least 30 mins a day. Most times, cramps are caused when the muscles are too relaxed, then you try to force then instantly to do something like stretching. Try and warm them up by exercising. Even light stretches in form of a workout will help. Also drink water, you are cooking a baby, so pump water into your system so it doesn't dry out (u get?). Even now, days when i don't exercise at all, i get leg or feet cramps when i try to change position on the couch. Its because i didn't warm up my muscles at all that day. Walking also helps for fast labor and delivery trust me, lol! Ammy, i hope this helps? Please lets see more of you. I wish you a lovely pregnancy and a fast and safe delivery in Jesus name. Amen. Nd yes I will try to comment more but I ve been a regular visitor too since dis year sef!! Thanks again nd God bless..
Lol, so you have been spying us secretly? hahaha! No mind me o. *Big big hugs! My dear, Amanda is not smiling o. You all are doing great. MissB thanks for the encouragement. God bless ya! @Miss B thanks a bunch dear.. Dancing Azonto here ooo, ladies are doing great. am soo happy seeing our results. Amanda no gree oo keep it. Haaaaa my head is swelling oh... Tnks u guys... Na una oh... If not for u guys... Thank to each an everyone... U guys rock big time. MissB I've increased my target oh... Haaa. between 60-65 is fine :D... People aren't seeing much changes in my body yet oh... Hmm..it must get to d point dt when people see me dts d first thing they'd say.... Loool... Welcome Ammy Becky.. Weldone ladies.. I'm proud of us.. Amanda. Notin do you nne, carry go! Miss cheliz, I have being trying to post comments oh since forever I finally figured it out today so I hope it shows, its tola btw. Hmmm, welcome Tola. Thank God. Please what did you do? because lots of people are complaining they can't comment. Greetings to all the 9 powerful ladies. Amanda I see you o! Hi Miss B, our cheerleader :) Mz. 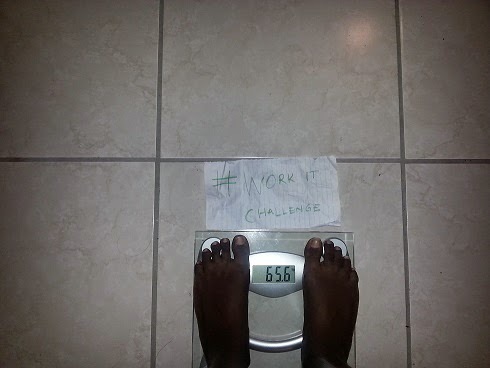 Cheliz I'm holding onto your words that "It's not all about the numbers on the scale, don't let that draw you back." It seems I'm the only one that gains during my TOM. 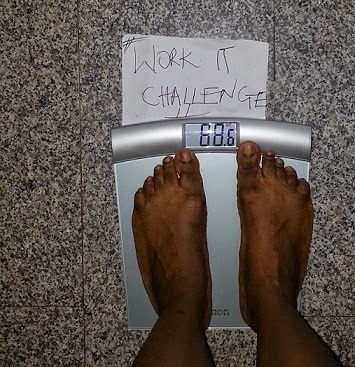 But it's okay, I'm now a new being when it comes to the scale. My old self would panic and be discouraged. But I've learned through this process, and accepted that my body will do its thing, while I have to still do my exercise and eat right, with small cheat meal :), so I don't feel deprived. But to feel better, I just tried on my clothes and enjoyed the loose feeling. To your question Mz. Cheliz, (how do I feel/ change in personality) - I feel accomplished. 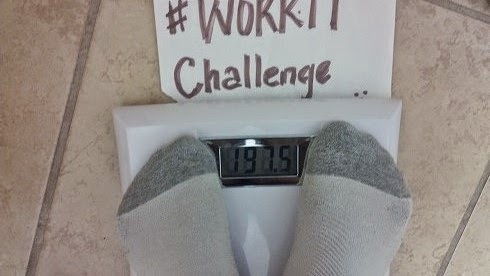 As the numbers add up on the scale, I’m amazed at what I have accomplished. Being patient, grateful and disciplined has taken on new meaning for me. I had to realize that I won’t lose the weight at the rate I was expecting, so be patient and accept the long process, be grateful for each pound lost, and be consistent and disciplined, and stay the course. As a result, these traits have seeped into other aspects of life. My hubby even pointed out to me that I’m now a ‘chill’ and happier version of myself. Before this process, I was feeling down about several issues, the issues remain the same, but my attitude has changed. I’m exercising patience and waiting on God, and grateful for each accomplished day. Issues have taken a backseat to Saturday weigh in :). All this talking is just to say I feel awesome, happier, sexier, and like you said powerful. Indeed, I can do all things through Christ who strengthens me. Amen!! Ehen, das the spirit. TOM never see anytin, now that you understand your body, nothing can make you feel bad. Just try and make up for it this week and you'll be fine. @ "I feel accomplished" That statement just made my day Pat. That's the reason I love doing this. It is by the the special grace of God and your hard work that you have come thus far, enjoy it. I am proud of you babes. May the almighty God that i serve grant you all your heart's desire real soon in Jesus name. Amen. You're right Miss B., no stopping for us. MissB, if you can try and enter a detox before that day, it should help reduce the cravings. If you don't over indulge, the false weight you add during that time should disappear by the end of the period. It is well dear.